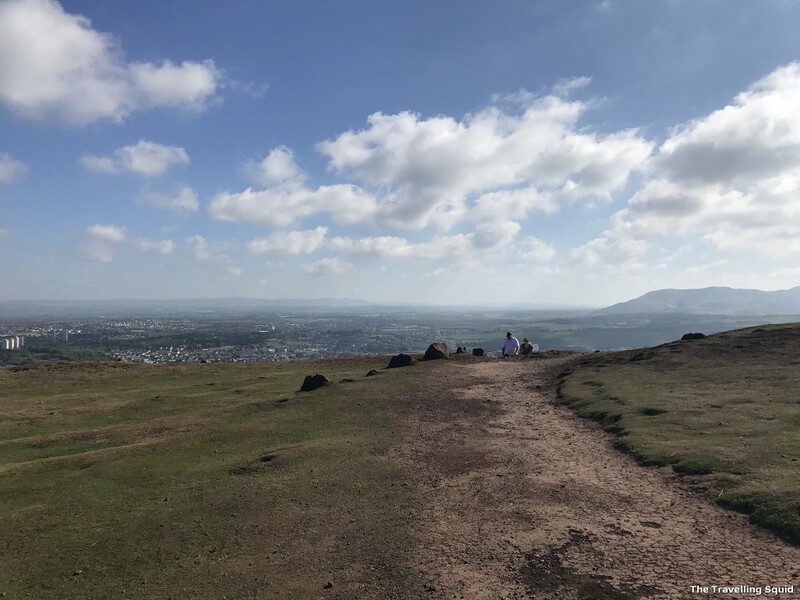 The view is breath-taking, even on the easy path. 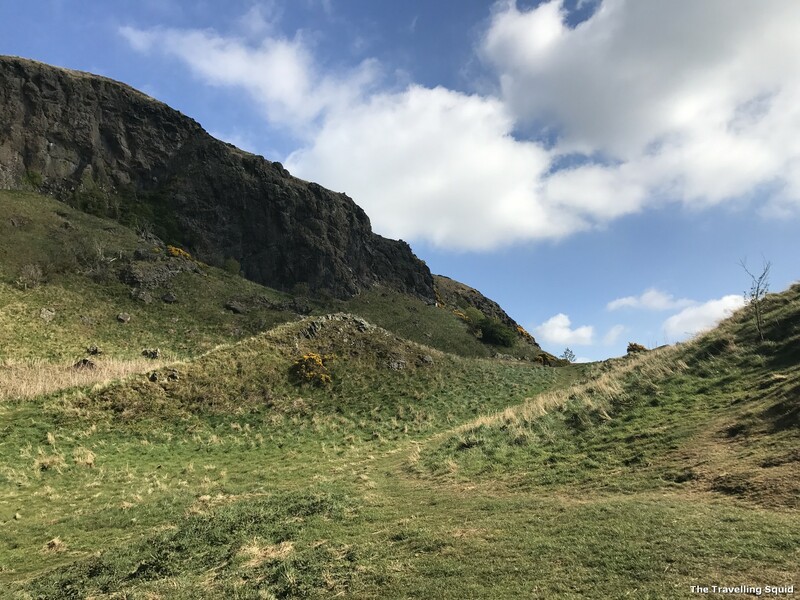 There is an easy hiking route to Arthur Seat, which does not involve the straining of calf muscles – perfect for the unfit city-dweller like yours truly looking to explore Edinburgh’s hills without having to pant too much. It’s the perfect leisurely stroll – you don’t need a marathoner’s stamina or a mountain climber’s sure-footedness. You just walk. 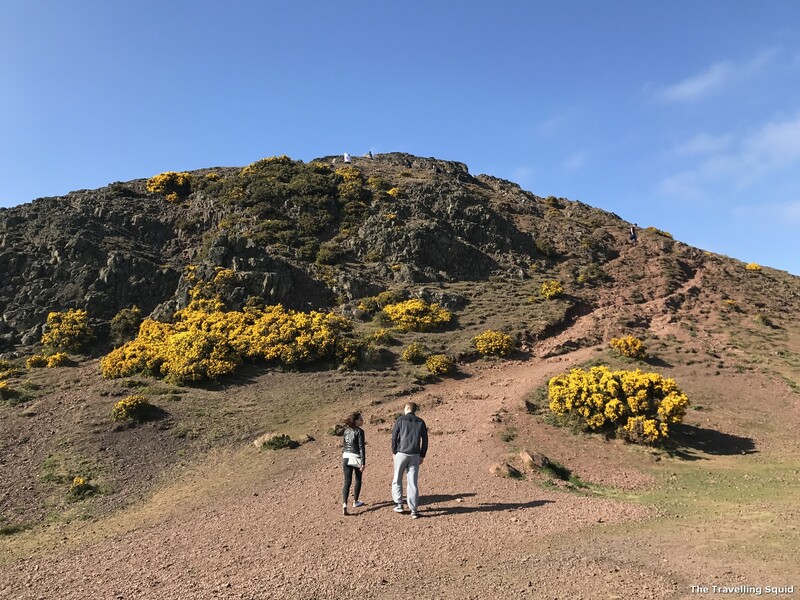 We came across the easy hiking route to Arthurs Seat by chance. 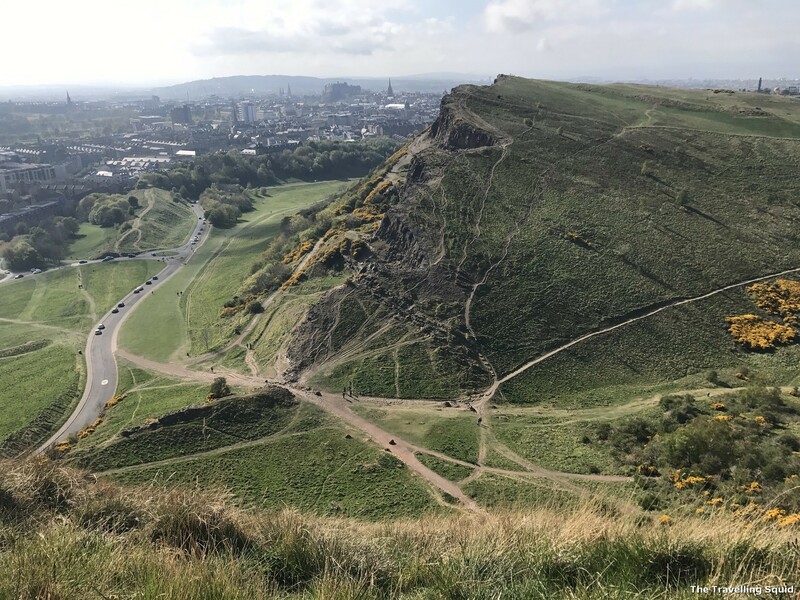 After huffing and puffing to get to the top of Arthur’s Seat through the challenging way, S decided to look around for an easier path. And I’m glad we did find one, if not getting down the challenging path would have been tough. Love the lone tree across the landscape. 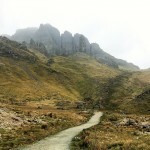 I find both the scenery of the challenging and easy route memorable. 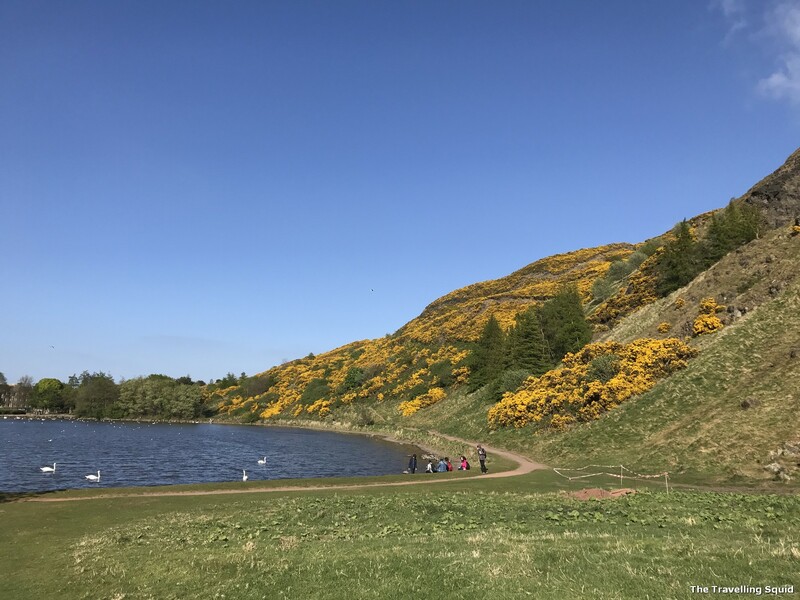 Perhaps because the easy route was less taxing on the mind and body, I could lift my head and admire the azure sky, along with the wild flowers lighting up the green hills. 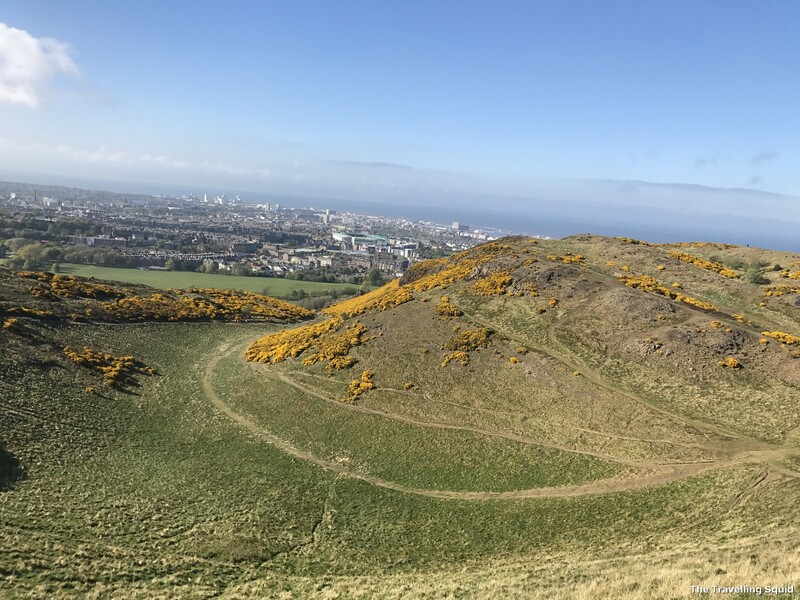 The worry that a misstep could send me tumbling down the hilly slopes had diminished, as I looked to admire the city-scape of Edinburgh. Feels abit like Lord of the Rings? Love the lone tree in the middle of the sky. 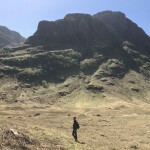 With the paths crisscrossing – like cracks in the hills. 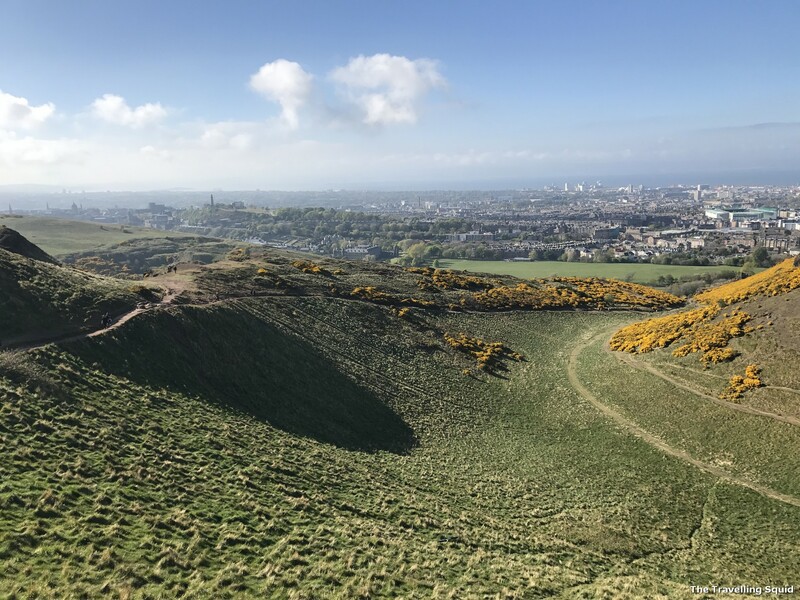 A bird’s-eye view of Edinburgh, or perhaps, that is Arthur’s view. 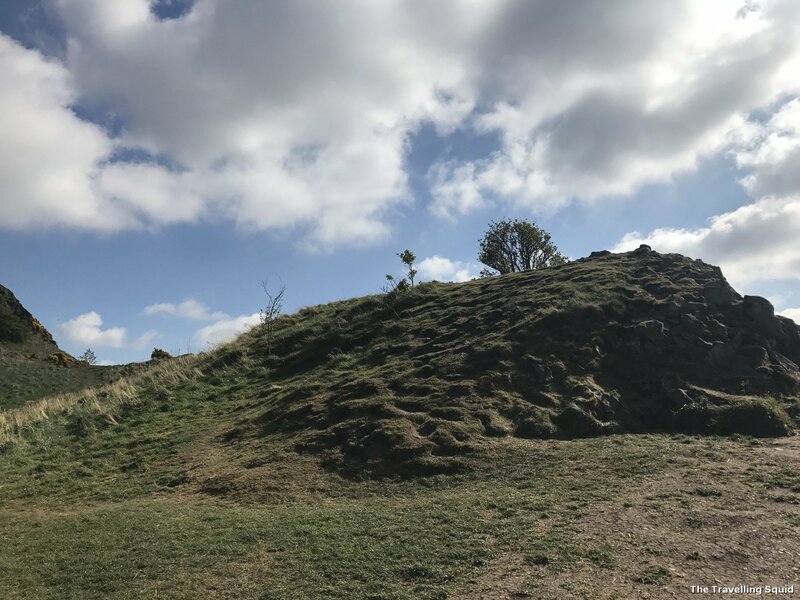 Unlike what was taught in art class, hills are not simply triangular shapes – they are made of undulating hills. Seems like a really long walk, but it takes less than 2 hours to descend the hill. A geologist’s dream – I imagine. As we descend. There is no fixed path, it’s made of many paths. 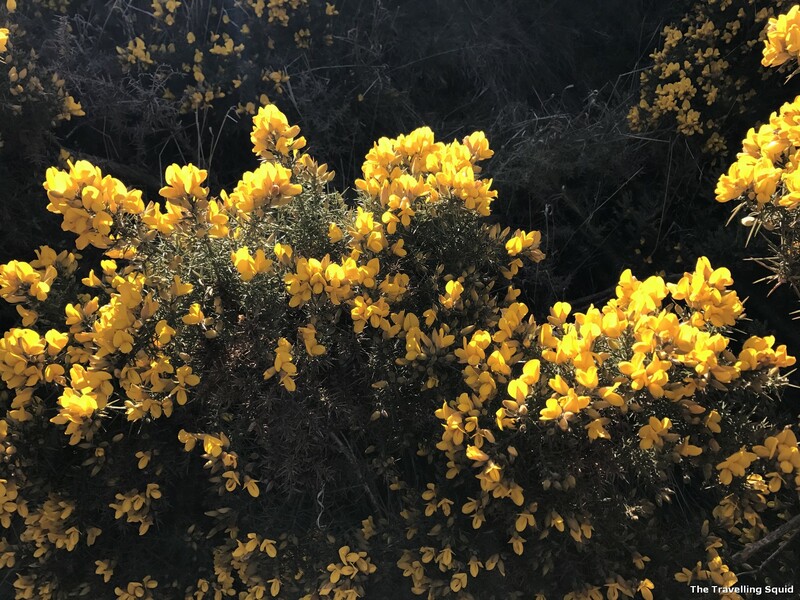 Flowers littering the hills. Thought they were nice from afar. The wild flowers are more beautiful – close up. 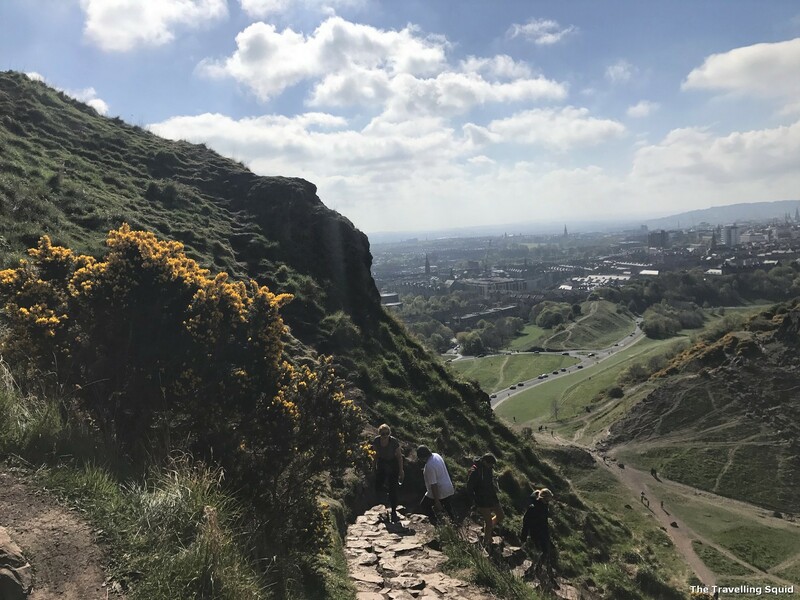 As we were going down, I felt a strong sense of satisfaction as we passed other travellers who were ascending Arthur’s Seat. Perhaps in my mind, I had the thinking that we were so accomplished to have taken the challenging way up. Or perhaps, it was just a ‘been there done that!’ sort of situation. We came across many hills like that. Short but beautiful. 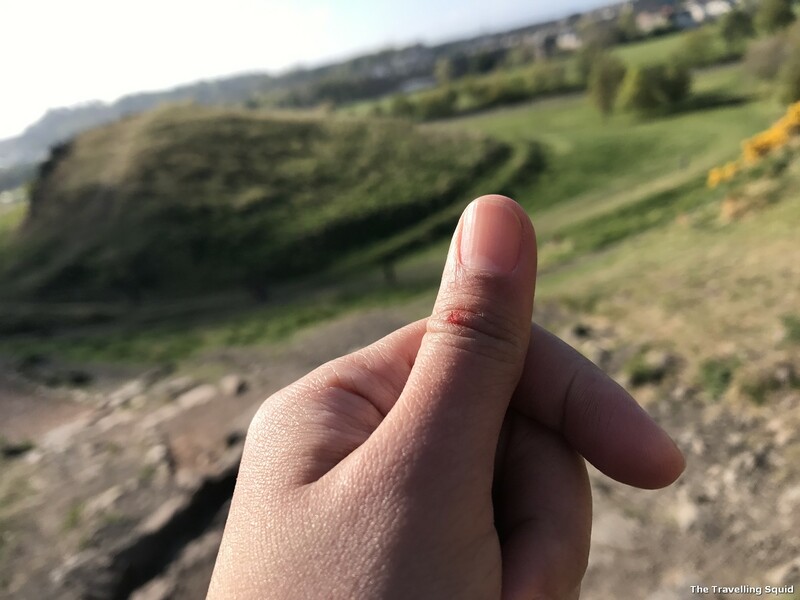 Cut my finger on a rock while going up. 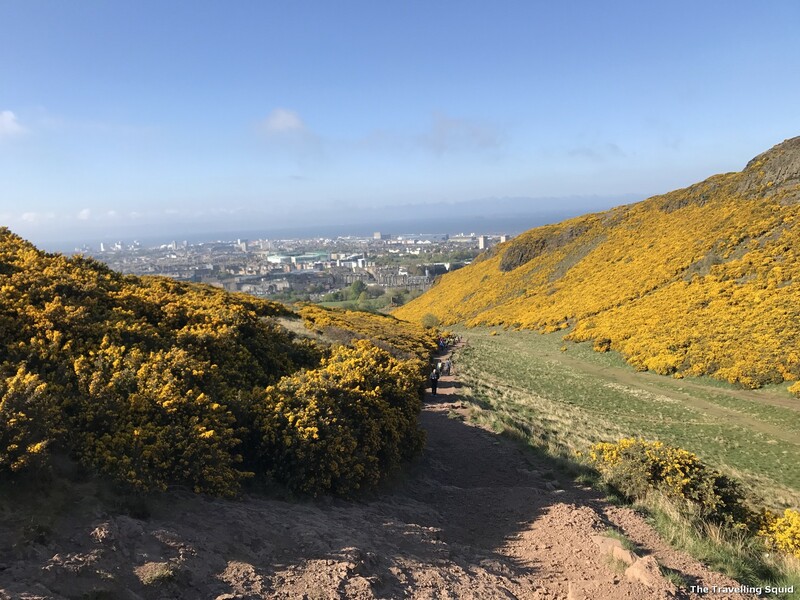 So here comes the inevitable question – how does one locate the easy hiking route to Arthurs Seat? 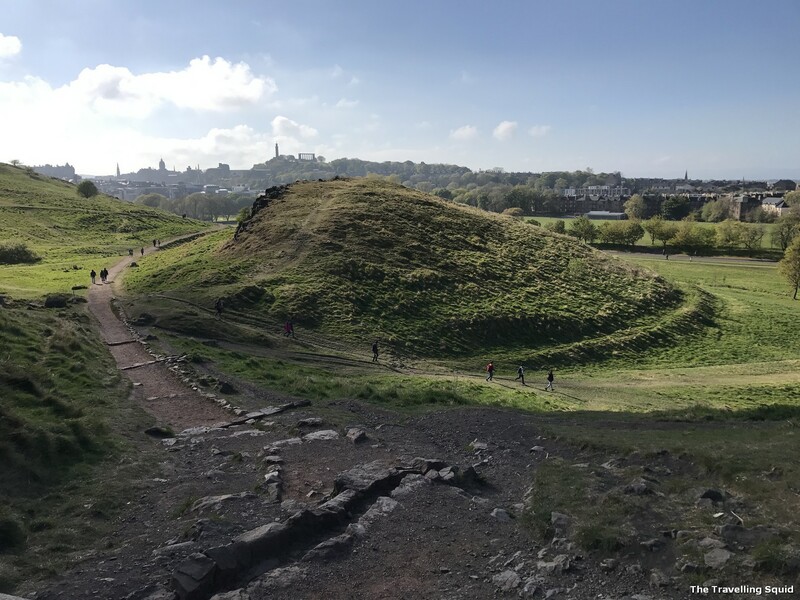 A: After arriving from Holyrood Park, face the hilly mass of rocks and take the path with the gentler slope. Avoid the path with a steep slope! 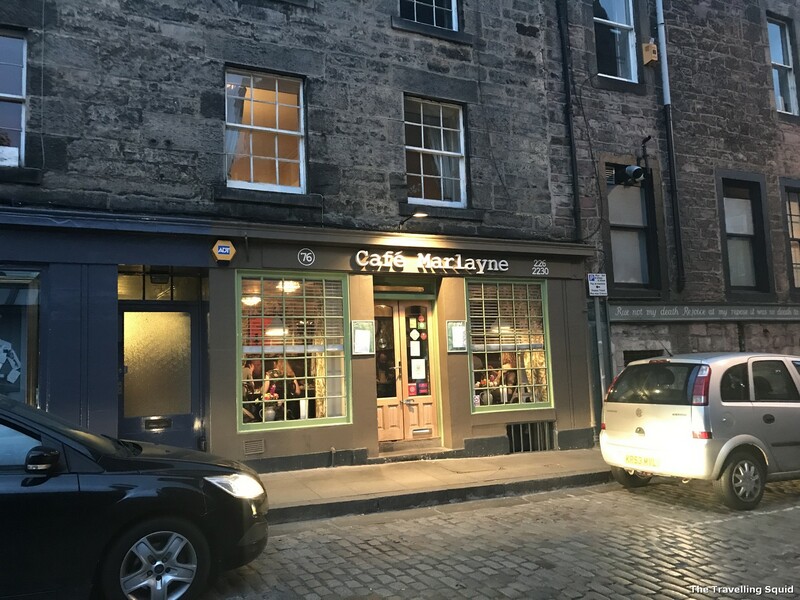 A: Follow Google maps, and head in the direction of Dunsapie Loch. There’s a path up the hill from there, which is really straightforward. 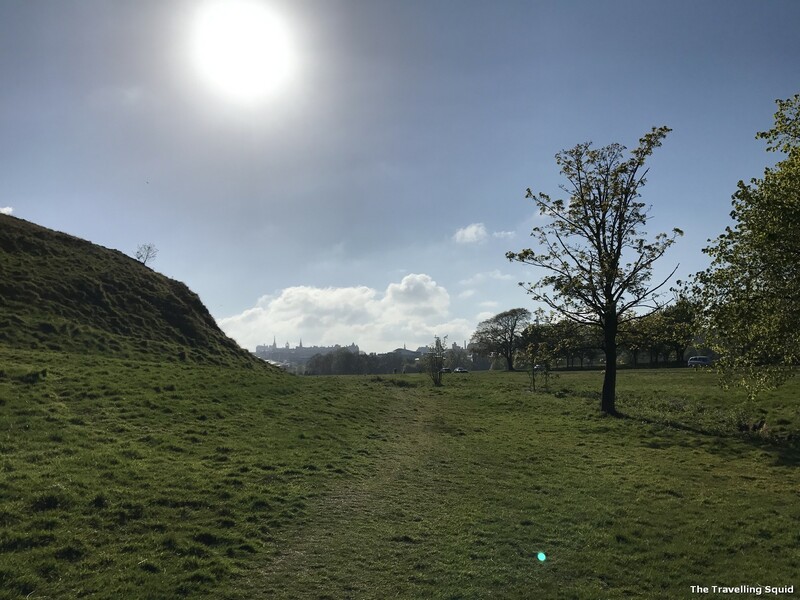 Essentials of a childhood painting – the sun, a hill and a tree. Path near Dunsapie Loch. 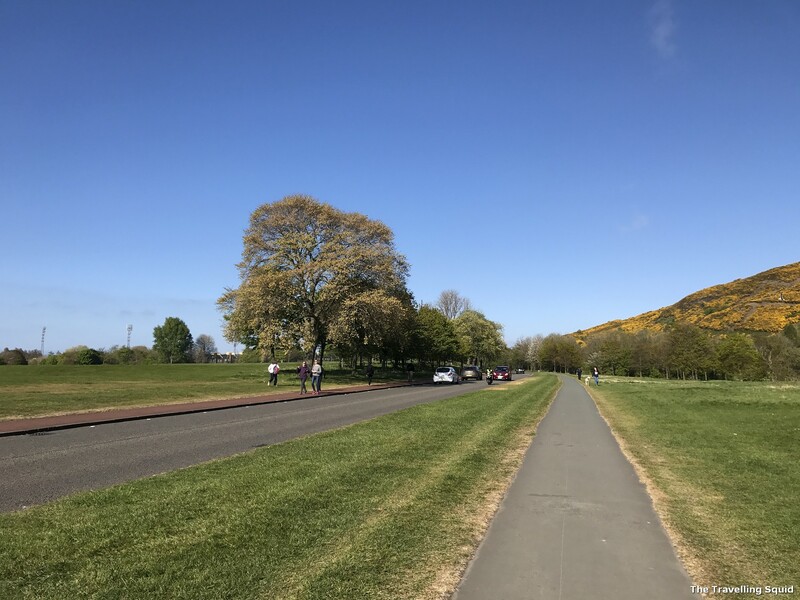 Path next to Holyrood Park. Where we first came from. 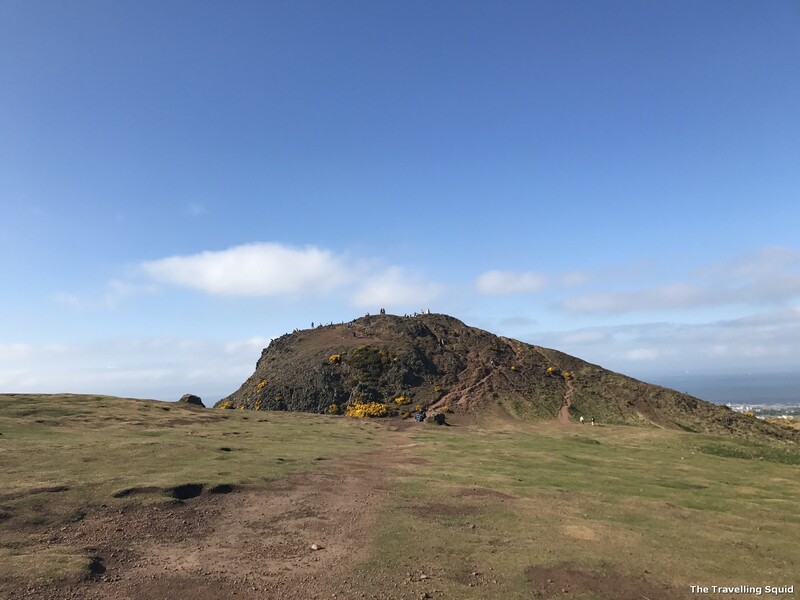 Taking the easy hiking route to Arthurs Seat was certainly a walk in the park for me. 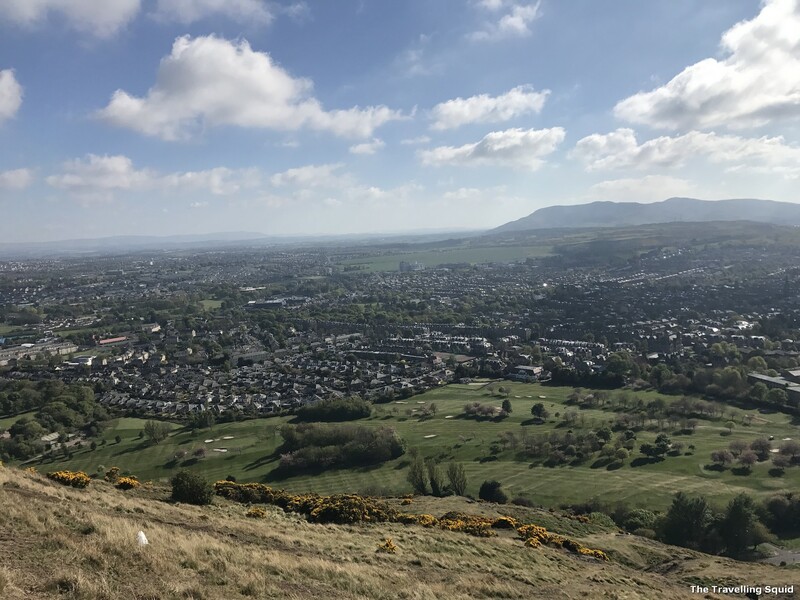 I could better appreciate the surroundings, without feeling concerned that I was going to fall, twist my ankle and be immobilised on a hill with rather steep slopes. 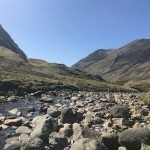 That said, I still feel that it was meaningful to have taken two routes, and in particular the challenging path while ascending. It would have been a tad difficult to descend, especially given the inexperience hiker I was. I was glad to have experienced different types of scenery and terrain. 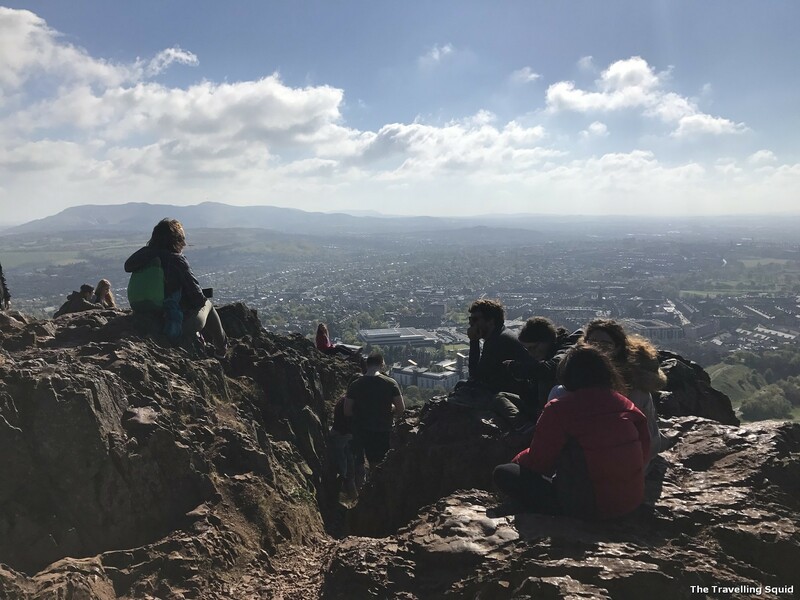 The landscape was not only awe-inspiring, but the fact that we had perspired and panted made it feel that Arthur’s Seat was a hill like no other. There was blood too! As I scraped my thumb while attempting to scramble up the rock terrain. Cheers to ascending this short summit! 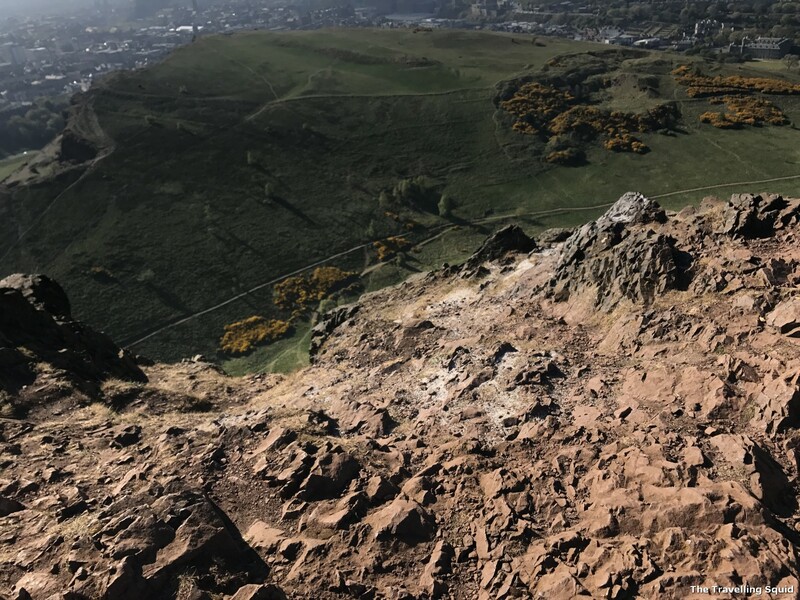 Have you climbed Arthur’s Seat before? Please share you experience in the comments section below.